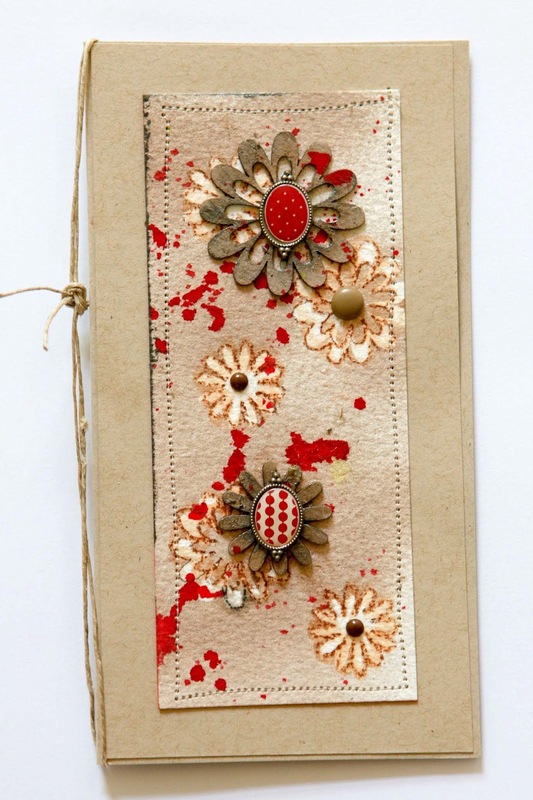 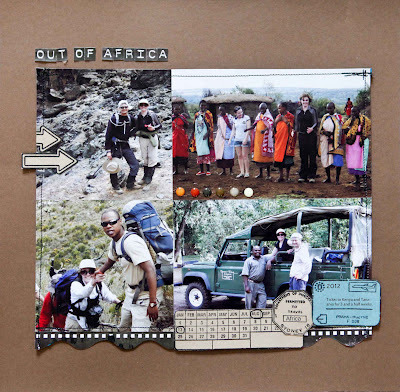 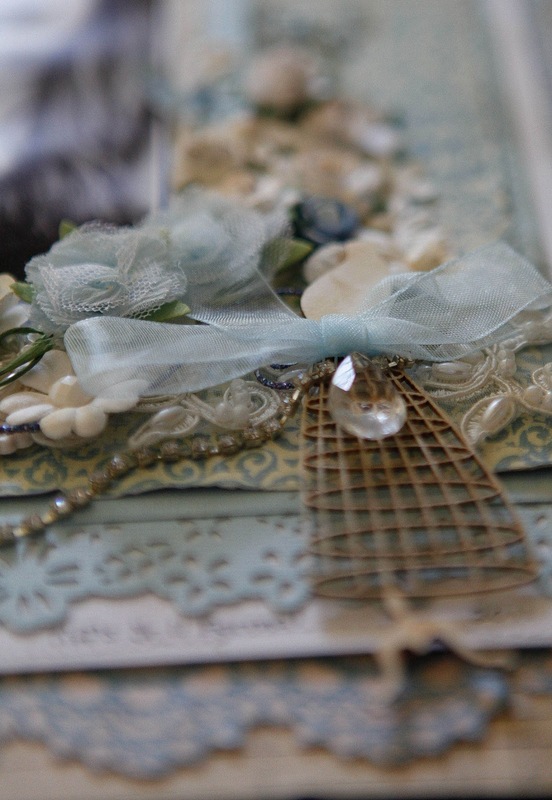 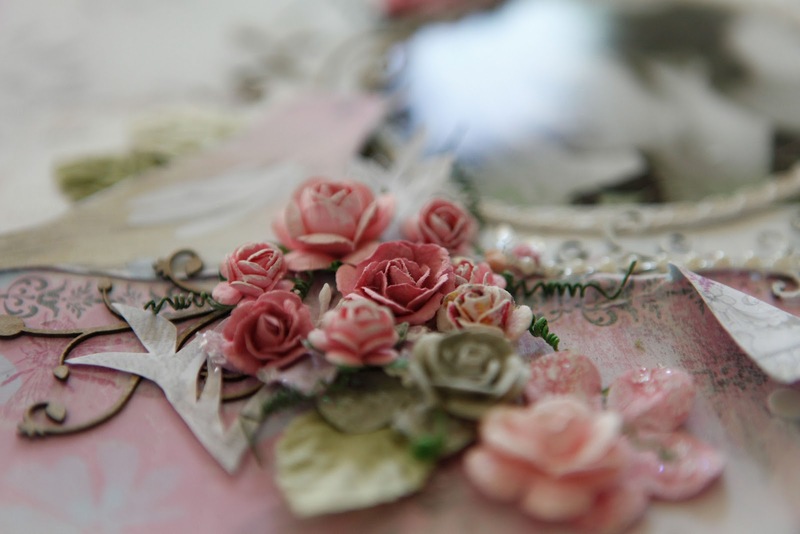 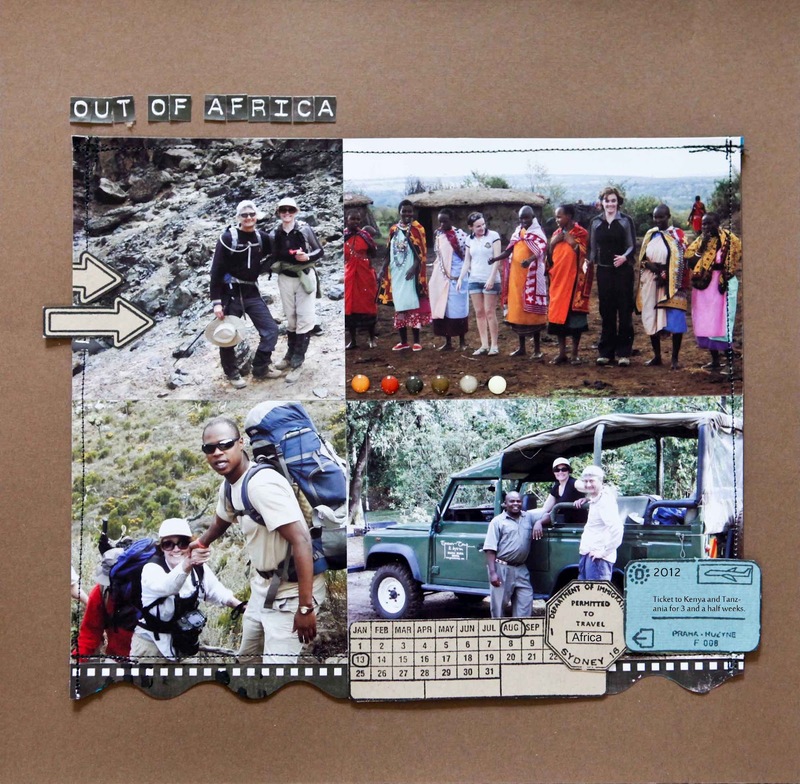 This post contains 3 pieces of work that are just bursting with gorgeous scrapmatts chipboard. The first LO 'Cherish' you saw in my last post - has Scrapmatts: title, leaves, butterflies and page border. Have a look again and see if you can see these little gems. 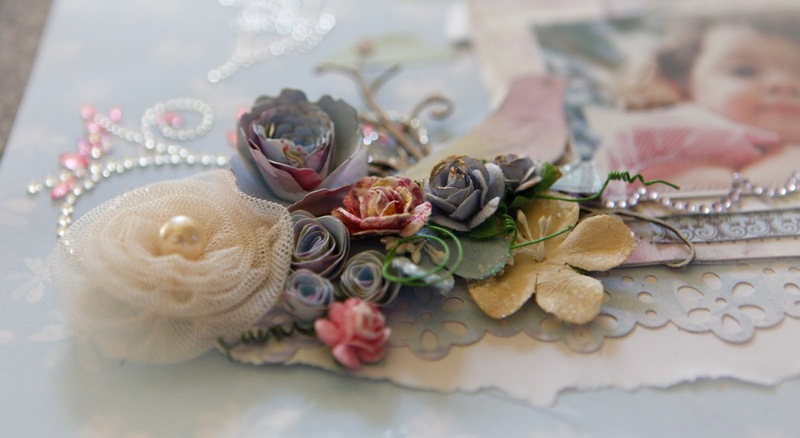 The 'Belle Of The Ball' uses Scrapmatts wonderful dress forms. 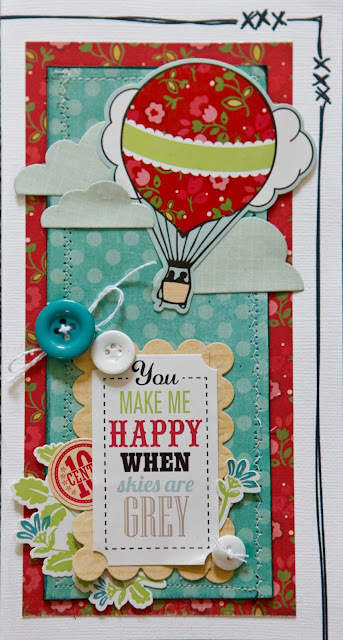 The third example is a card. 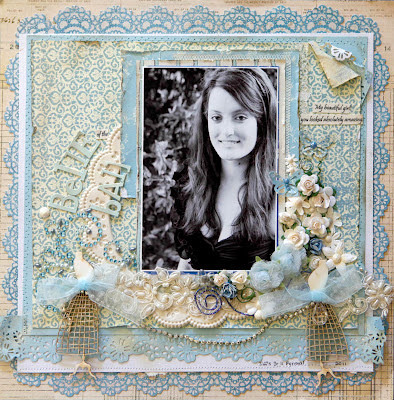 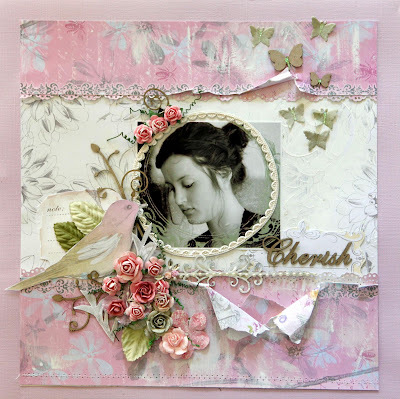 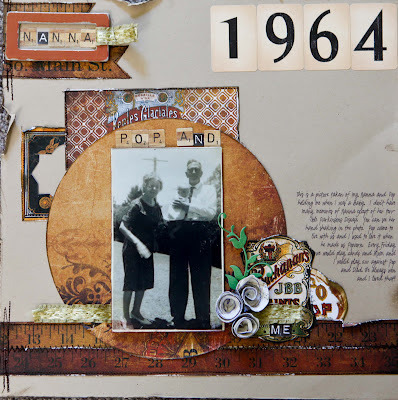 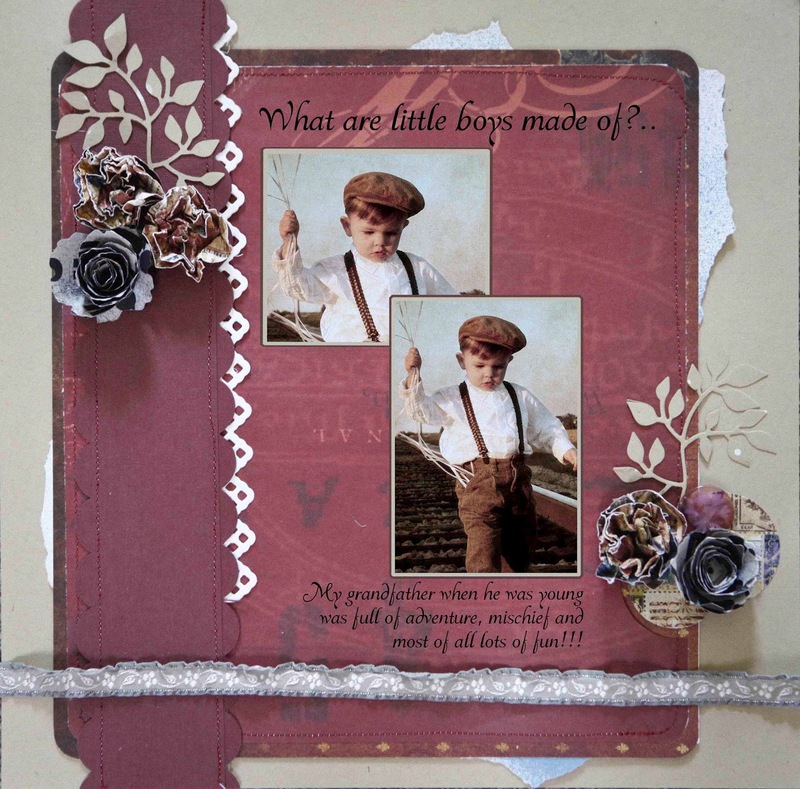 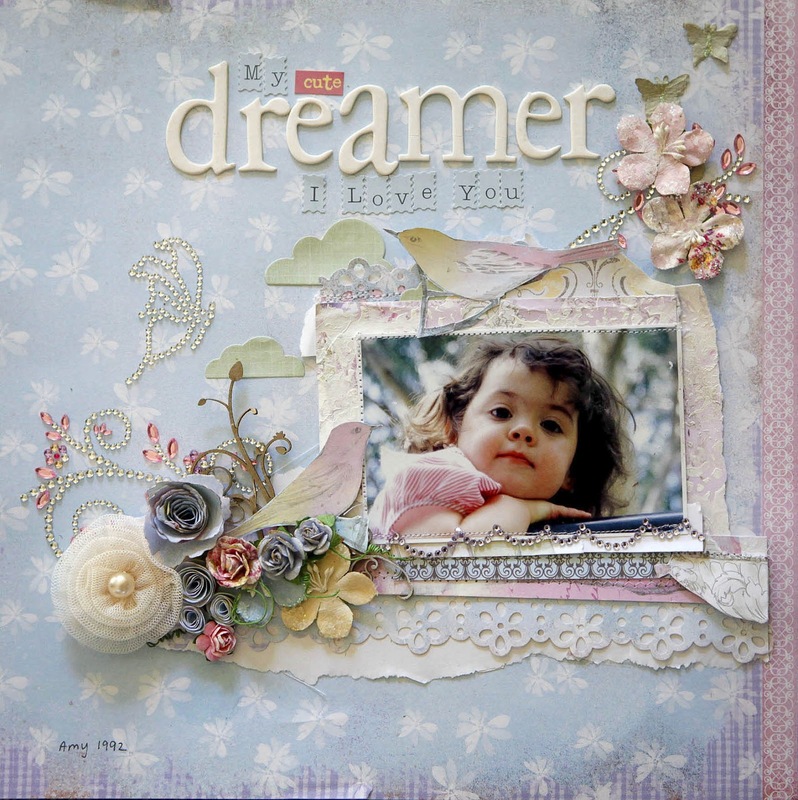 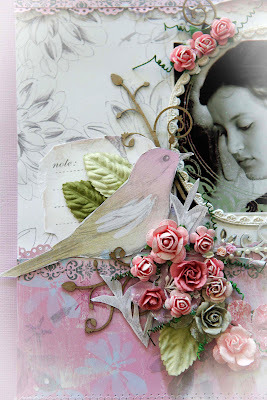 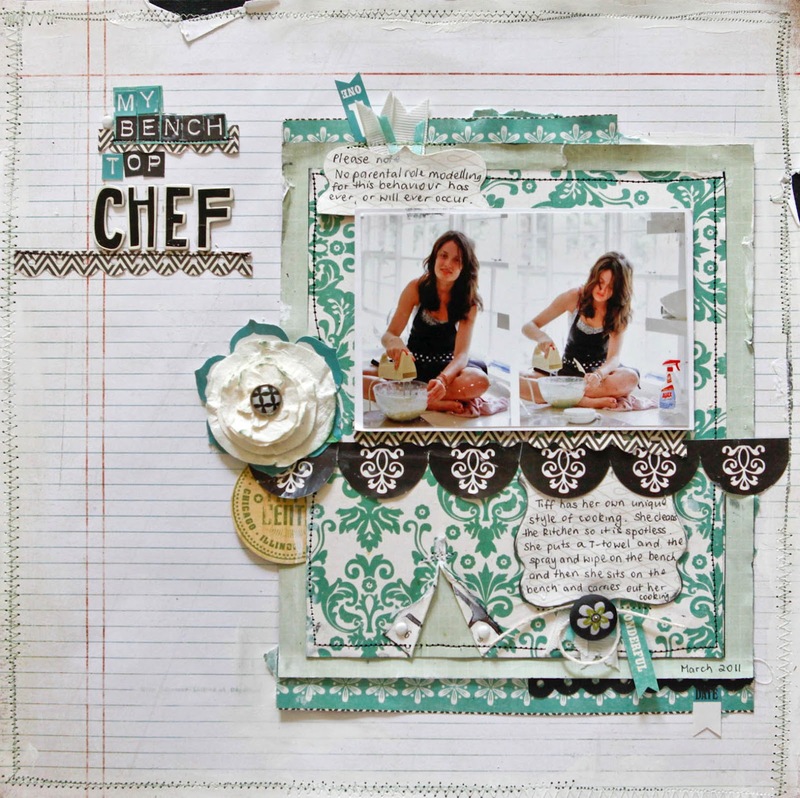 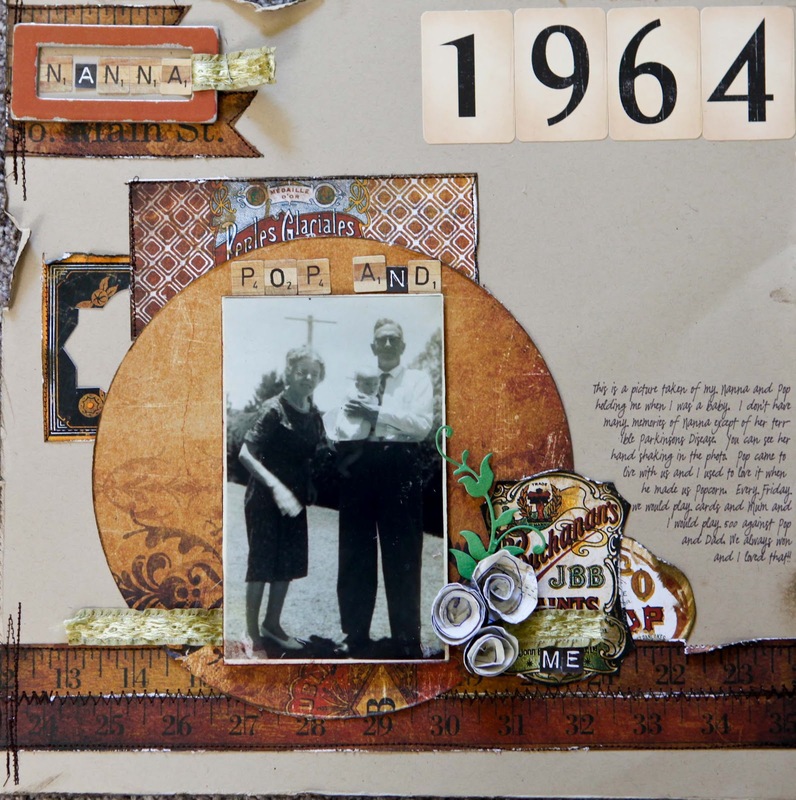 The April challenge is to use Scrapmatts chipboard as a mask or stencil. Those of you who know me will know that I love Prima papers and embellishments. 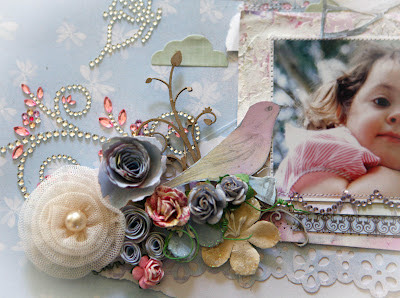 The new Meadowlark range is quite pastel and features lovely soft pinks, blues and purples. 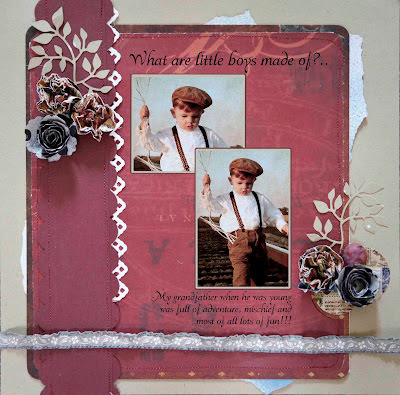 Here are 2 LOs I created using this range. I had a look at the Echo Park web site and saw that one of their designers 'Tamara Tripodi' had made a gorgeous card so I did a little scraplift - with of course some of my own modifications.